It’s time to hang those wreaths, plug in some lights and get that wrapping paper ready because the holiday season is finally here! If you are already writing down your list of to-do’s, you might want to make sure choosing a Christmas tree is one of your top priorities. What would the holiday season be without the fresh scent of pine wafting through the house and the sparkling of ornaments draped on each bough? You simply cannot do Christmas without the “piece de resistance”! Now, not every tree is the same in the lot so you’re going to want to go shopping with a bit of insight on the varieties available and the differences between them as well. A tree is never just a tree in this business and you’ll need to bring your holiday savviness when you set off on this mission. Here are a few facts to consider as you browse the selection. Listed above are probable species you might catch site of when selecting your tree. With careful study, you’ll notice that these trees all vary in size, width, shade and texture. It all depends on the family’s (or decorators) preference when it comes to opting for one or the other. Be on the lookout for these specific features which will help you to navigate the path to your dream tree! Blue Spruce-Pretty tree with an oblong shape that has a pointy top which is perfect for hanging a glowing star. 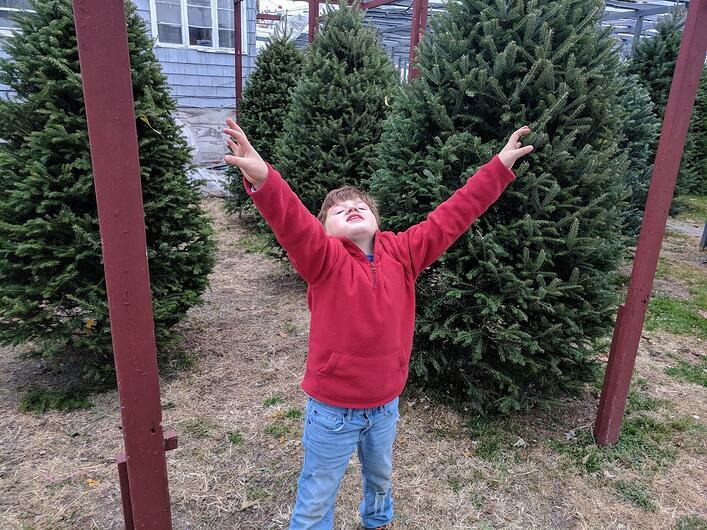 Balsam Fir- The number 1 choice for Bostonians is the balsam because it has a long-lasting lifespan and a pungent aroma that holds for the season. White Pine- One of the largest species to grow in the forest; for those who like a “showy” Christmas display, this one’s for you! Green Spruce-Although these are beauties, they possess wicked sharp needles and the branches are loaded with them… Be careful if you have little ones at home. Fraser Fir- This tree has a great shape for Christmas decorating because the body is a uniform pyramid and the branches twist upwards to prevent ornaments from sliding down. Noble Fir- These guys can come in a variety of different shapes and sizes but they are stunning for the holiday occasion due to their soft leafage and strong branches. They are rare around these parts since they thrive on warmer Washington and California temperatures.